Wild Sweets® cocoArt | From cocoa bean to chocolate to art! 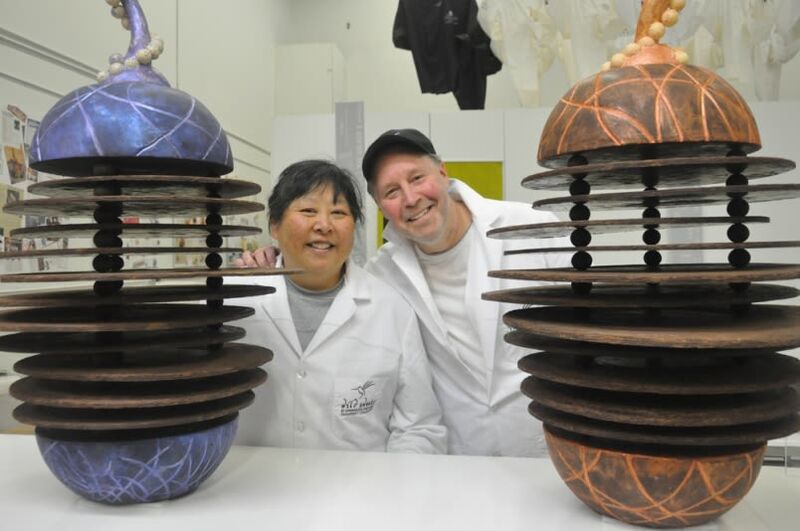 .For this installation, Dominique & Cindy Duby partnered with graphic artist Linda Mitsui – owner of Profile Design Group – to create cocoArt sculptures made entirely out of chocolate, weighting around 75Lbs each, and titled ‘Abstract Geometry’. Their take on the geometric sphere shape is deconstructed, and reconstructed ‘organically’ as if it had been distorted. The installation will also include print canvases of their award-winning cocoArt photography using their everyday hand-painted chocolates.